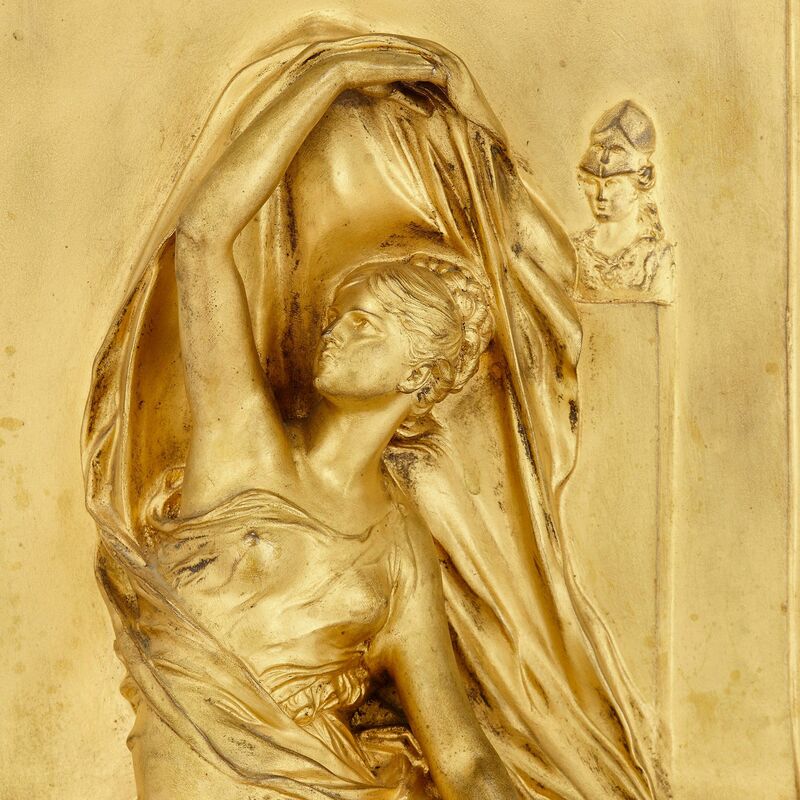 This beautiful antique relief panel depicts a Classical woman in a moment of expressive contemplation, symbolising the personification of 'Thought'. 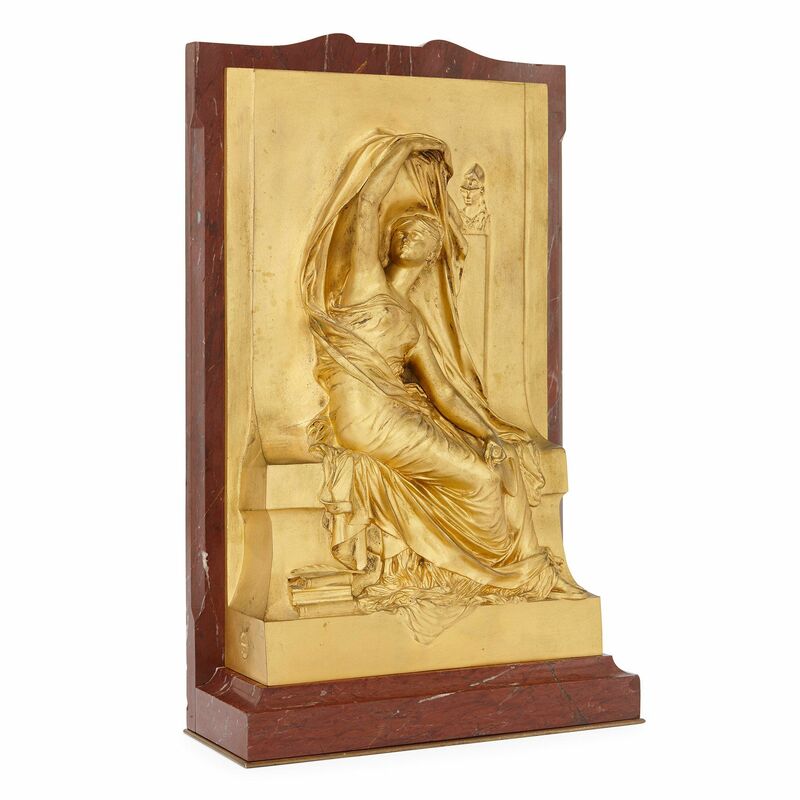 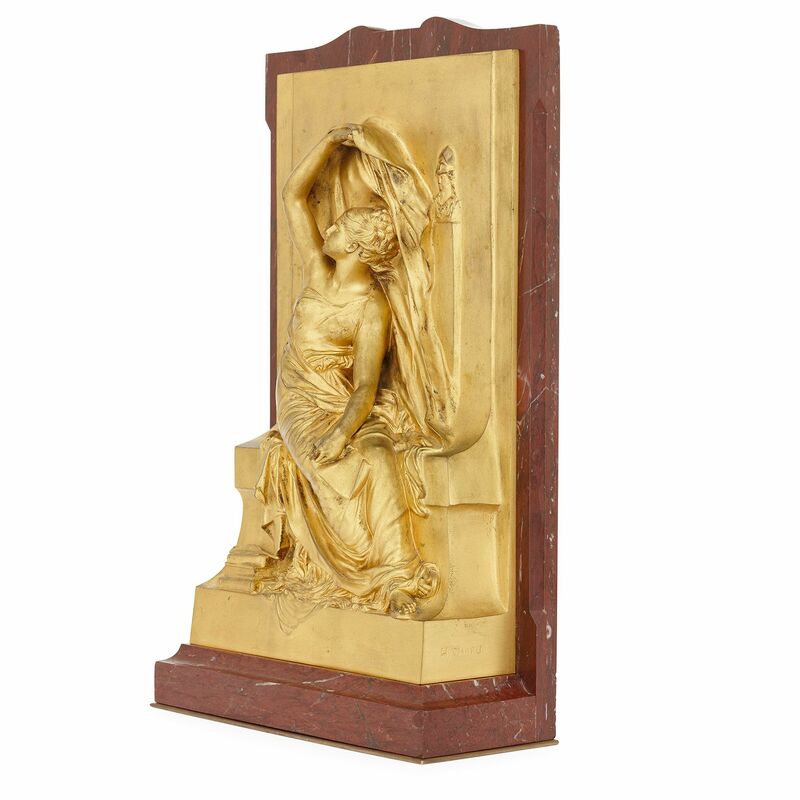 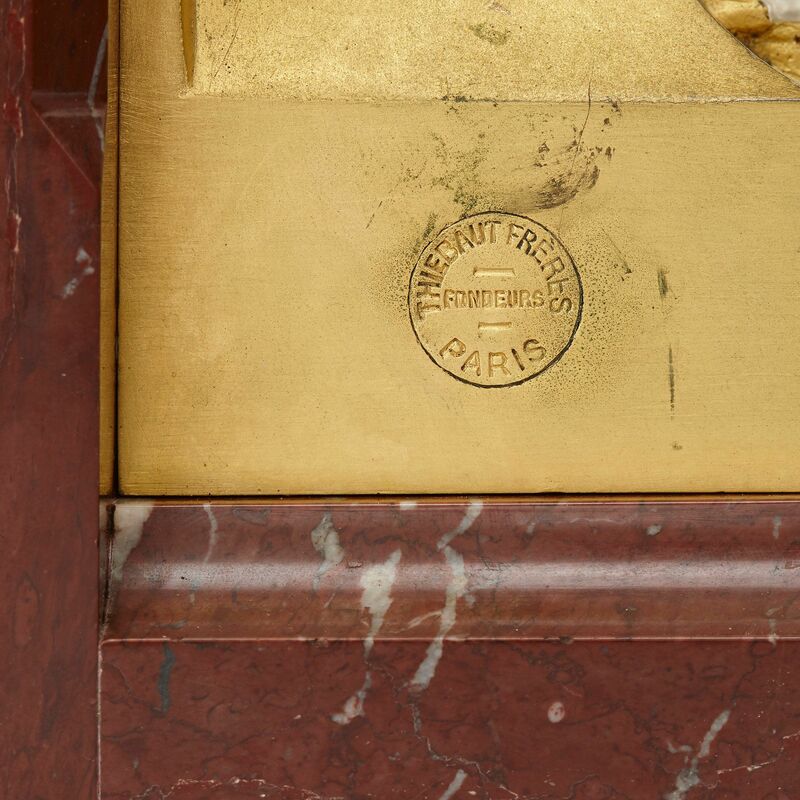 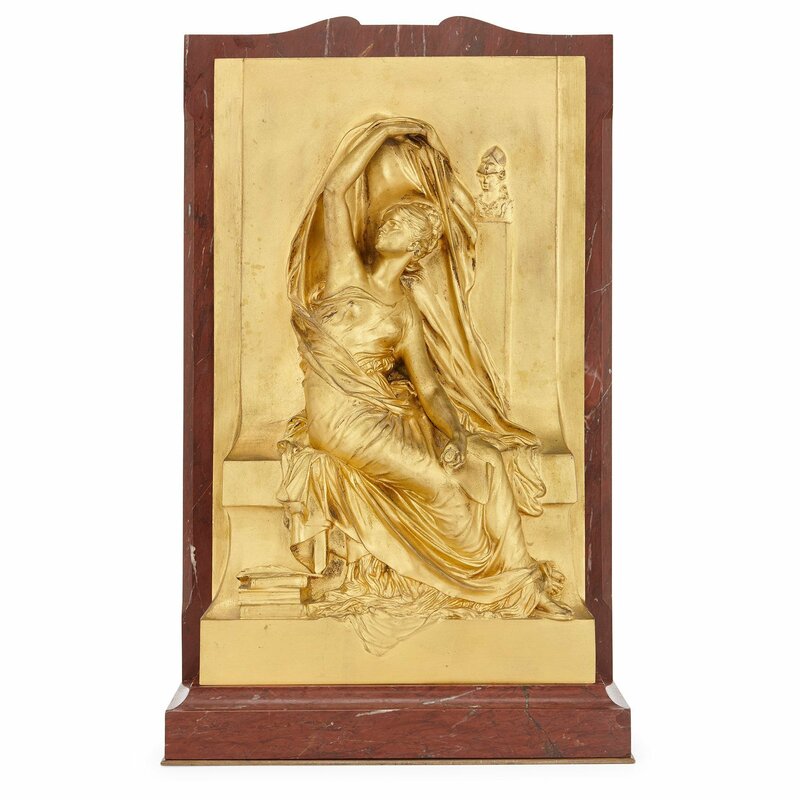 Set on a red marble base and backing, the rectangular ormolu panel depicting a seated woman holding draped sheets above her, next to a bust of Athena, signed to the base on one side 'H. 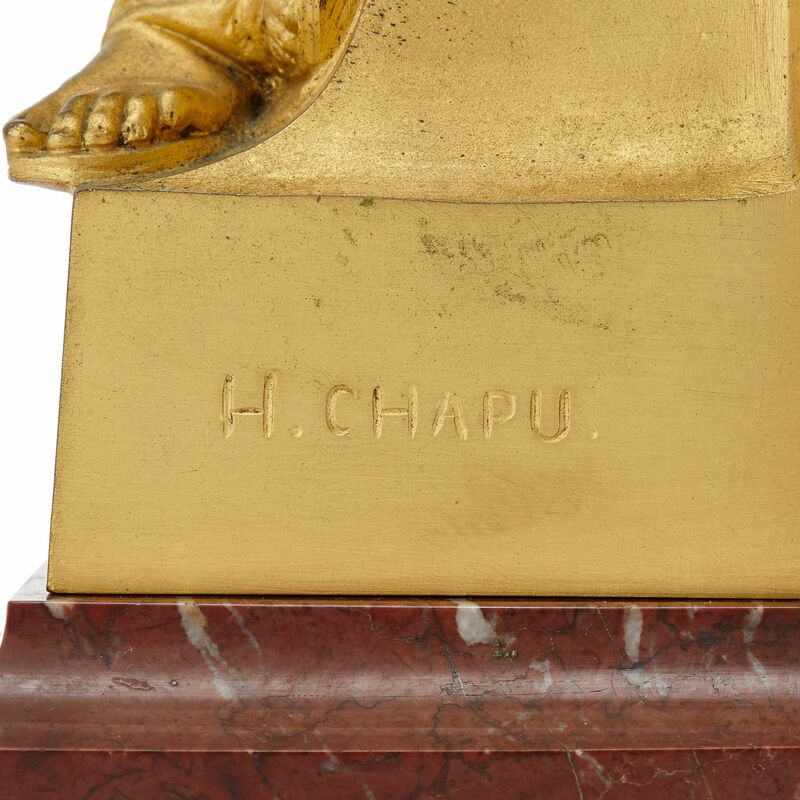 Chapu' and with Thiebaut Frères to the other side.